With perfect timing, the New York Times has presented the flip side of our previous post about the value of pursuing scholarships, analyzing the Education Department's recent release of its database of the most expensive colleges and universities in America. The rise in cost of education in America is clearly outstripping inflation, household income, or any other benchmark against which tuition increases of America's not-for-profit universities could be measured year over year. So what is to be done about the astronomical costs incoming freshmen are facing? The answer is found in the data itself, and in the public response from Bates College in Lewiston, Maine (the school with the dubious distinction of being the most expensive four-year not-for-profit school in America). Increase the amount of financial aid available to students of lesser means. Scholarships are at a higher premium than ever before, so make sure to do your homework this summer and apply to as many as you can find. In many ways, such applications are a numbers game - the more you can find, the less you'll pay up front. 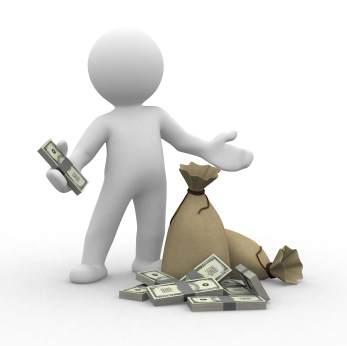 Would You Turn Away Free Money? With college expenses rising, and many family budgets shrinking, pursuing scholarships can give a needed financial break to applicants and parents alike. Claudia Buck recently published this informative piece in The Olympian detailing one student’s scholarship search. Connor Quinn, a high school senior, ended up applying for over 80 scholarships, winning 22 awards totaling $22,700. With the average tuition to private universities nearing $40,000 per year and financial aid budgets decreasing, scholarship money is becoming more of a necessity, and students are often unaware of how prevalent it can be. Buck writes that, according to estimates, there are over 1 million scholarships offering over $3 billion in free money. This article in the New York Times' Education section describes a small school in upstate New York that decided to change its fate by attracting students from all over the world to learn, and, in turn, help the local economy. As the article admits, the idea sounds preposterous for a school of its size - the population of the town at the time had dropped below 500 - but the superintendent of Newcomb, NY, decided that the plan was worth a shot, and enrollment has since shot up. They expect to have over 100 students next year alone, and since beginning their efforts, they have brought in students from 19 different countries. This has had the dual benefit of improving the educational environment for the students and improving the local economy. The key to the school's success was its global outreach and its ability to provide opportunities to foreign students that weren't available in those students' homelands. At College Essay Organizer, we have seen independent counselors increase the scope of their businesses dramatically through the use of technologies that enable a quick and simple global outreach. Because of new communication tools such as Skype and iChat, counselors are able to transcend the local responsibilities they've had for years and provide consulting and advising services to clients the world over. As a single-stop essay editing and advising platform, College Essay Organizer can be ideal for essay development between advisor and client across state lines, time zones, even entire oceans! SEND THIS TO YOUR FRIENDS GOING INTO SENIOR YEAR, AND POST ON FACEBOOK! 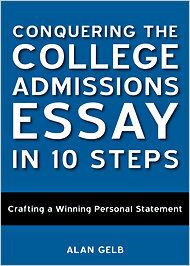 Now that you're starting your college applications, check out College Essay Organizer. It quickly and efficiently streamlines the entire college essay process. You can create an account now that will give you access to the essay questions for the colleges you're applying to as soon as the new applications are released. It will take less than a minute to sign up, and save you hours of frustration, confusion, and procrastination so you can focus on writing great essays that help you get accepted to your top-choice colleges. Simply create your account here. Select "Essay RoadMap" in the "Choose Your Services" section. Enter the promo code essay123 and once you click out of that field you will see that your account is 25% off. All you have to do is select your colleges and College Essay Organizer will give you a personalized essay writing plan. You can even check for FREE to see how many questions your colleges require. By creating your account now, you enter College Essay Organizer's drawing for free one-on-one college essay consulting. You can also check out one of the most popular essay tips here. And watch these hilarious videos spoofing the college essay process. You'll laugh - promise! Independent educational consultants (IECs) face a wide range of challenges when developing their practices. Speaking with consultants throughout the country and around the world reveals two common concerns: time and money, and how everyone wants more of each. The good news is that there are a number of simple ways to leverage technology and enhance client value, saving you a tremendous amount of time while simultaneously increasing the amount of money your practice generates. In this free report, we offer 7 easy and effective ways to increase your efficiency and grow your practice, while optimizing the exceptional value and service your clients expect. 1. Team up with another education-oriented company that complements, rather than competes with, your services. If you provide college admissions support, contact a local tutoring company that handles test prep but does not help students select their colleges or complete the essays and applications. You can refer clients to them and vice versa, building each other’s businesses in a mutually beneficial way. Your clients will also appreciate that you are a trusted resource for their broader educational experience. 2. Provide your services to a student for free. To reach potential new clients, offer schools a “scholarship” for one student to receive your services free of charge. This can be as simple as, say, 5 free hours of advice and guidance. Make clear to the school that you are not trying to replace the guidance counselor but rather will offer special skills that the school does not have the time or expertise to provide itself. This way the school views you as an ally, and is excited to provide a worthy student your services without charge. The impressive results of your work will encourage the school to recommend your services to others. 3. Increase your revenue by offering college essay guidance. Many IECs focus exclusively on college selection and academic advising, leaving the college essay process to students, their parents, and outside editors. In doing so, IECs miss the opportunity to provide necessary guidance to students on one of the most important and challenging pieces of the college application process, and forgo the chance to increase the overall dollar amount clients spend on their services. Adding support for the college essay process, from brainstorming to final drafts, can yield better results for applicants and grow an IEC practice at the same time. Pouring their hearts and souls into great essays is often the most life-changing and memorable experience students will have as they complete their applications, and college essay support is a necessary part of that process. 4. Provide free College Essay Organizer reports to existing or potential clients to close more sales. Many IECs offer their students advice on the college essay process. However, many focus on just the personal statement without spending time on the myriad supplemental, program-specific, and scholarship essays required by most colleges and universities. By offering your students free lists of their required essays (which College Essay Organizer can create for you), IECs can generate additional essay guidance revenue while demonstrating that they are tech-savvy and in the know. If you don’t want to share an account, you can simply direct individuals to the “Free Essay RoadMap Preview” on the College Essay Organizer homepage, which will indicate the number of essays that are associated with a client’s college list. After all, when students and parents are confronted with, say, 20 or more essays, it can often lead them to engage your services in ways above and beyond what they initially thought they needed. Similarly, for those who ask only for guidance on the Common App personal statement, you can point out that any disparity in essay quality between the personal statement and supplemental essays will be viewed negatively by colleges. Consistent guidance throughout the entire essay process breeds the best results for applicants. 5. Increase credibility and efficiency with clients. Being a quality IEC is first and foremost about offering your clients accurate and comprehensive information. By providing students with essay questions soon after they appear on the colleges’ own applications and the Common App, IECs can place themselves firmly ahead of the curve. This timely communication will ensure not only that clients know you are on top of the most up-to-date information, but also that you have an organized and efficient writing plan that parents and students can agree on. This helps clients avoid procrastination and decrease sloppy essay work. Utilizing the most innovative technology can further cement your reputation as an IEC on the cutting edge. Students are voracious consumers of technology. Providing them with access to their essay questions and a clear essay writing plan that allows them to work smarter, all through an easy-to-use interface, puts your service in a context they are familiar with while reducing the need for tedious paper and email exchanges. 6. Promote yourself nationwide (and even internationally). Finding credible platforms with which to promote your services beyond your geographic base can have huge benefits for your practice. IECs are increasingly doing work remotely over the phone, and through the internet, utilizing technologies such as Skype and iChat, which do not require you to be physically present in order to provide expert guidance. We all know that students and parents are overwhelmed by the application process and, in an increasingly wired world, the advice they are seeking does not necessarily need to be from someone next door or even in their own community. With the overall rise in competition from applicants both in the United States and around the world, IECs who can offer the best advice will be those whom competitive families seek out. To that end, overseas students looking for an edge or even simply additional clarity are responding to IECs who can provide quality service over the internet. 7. Offer (and enhance) your public workshop presentations. Many IECs promote their practices with presentations and workshops held at high schools, community centers, and local libraries. Such face-to-face interactions are invaluable opportunities to distinguish yourself from others offering similar services. At these presentations, collateral material for those in attendance can be the difference between receiving a follow-up phone call and simply getting a cordial round of applause. Providing a written explanation and timeline of the various steps of the college admissions process allows you to continue the conversation and reminds them how you can help at different stages in the months and years ahead. When a college asks why you want to attend, rather than simply recycling the college's brochure, you should share your intellectual and personal passions, expressing them in terms of how that college would enable you to develop and achieve your goals. This way your essay is about you, not about the college. Don’t make the common mistake of regurgitating a college’s own brochure. The college already knows what makes its campus special. The college now wants to know about you—what makes you unique, what makes you tick, what makes you you. We replaced the college name with “University X” to protect the student’s identity. Do not reuse this essay in any form. Why do you want to attend University X? Words are precious to me. After all, words are the medium for conveying my passion for University X, a special place I very much hope to find myself for the next four years. My own intellectual passions and aspirations have revolved around words and the broader theme of expression, and I find that University X embodies and promotes these interests. When I visited your campus this September, I was struck by the expressiveness of the students. They not only were eagerly socializing with one another, but also were exceptionally excited to share their ideas with me about the school. While the community’s excitement and warmth were infectious, I also loved the Independent Study option, specifically the emphasis on written, oral, and performance requirements. University X’s diverse student body mirrors my experience growing up in New York City, hearing different manners of speech, unique accents, and colorful words. I don’t have a favorite word, per se, but I do have favorite phrases. I love certain clichés forbidden in essays but uttered liberally by my mom’s friend Carol, who tells me, “You’re a chip off the old block, dear,” when I repeat my mom’s guacamole recipe by heart. And I feel a deep connection to the more elegant expressions of poets like Robert Frost who in his “Directive” wrote, “And if you’re lost enough to find yourself / By now, pull in your ladder road / And put a sign up CLOSED to all but me." I was so impressed with University X’s English department and believe that the wide range of course options, especially “Literature, Gender, and Sexuality” (which expands upon the ideas discussed in my current English class on 20th century female literature), will foster my developing ideas. The words of writers like E.B. White, Harper Lee, J.D. Salinger, and Virginia Woolf also move me. I love White’s tale for all ages dressed up in the children’s book Charlotte’s Web. I love Lee’s simple storytelling technique that subtly weaves important lessons of empathy into To Kill a Mocking Bird. I love Salinger’s informal, blunt style and colloquial dialogue in Catcher in the Rye. And I love Woolf’s personal tone in her controversial ideas of women novelists in A Room of One’s Own. These authors have encouraged me to find my own voice, which I experiment with through creative writing and journaling. My words are passionate, and the catharsis and clarity that writing brings about for me are among the most powerful things I know. I would love to enhance my skills in University X’s esteemed creative writing program, taking advantage of the study abroad writing opportunity, as well. Experiencing other cultures, after all, is incredibly important to me. In fact, I did not truly appreciate the powerful expression gained from words until a couple of years ago when the ability to fully explain myself was obstructed by a foreign language barrier. I have always been a linguistic connoisseur. My love of French led me to Corsica in the summer of my freshman year. I simply stared into my friend Philo’s eyes, stuttering to explain the full depth of my sad state after hearing the tragic story she had just told me. I had understood what she’d said in French but could not convey to her my feelings. Two days later I realized that I needed to push myself to truly speak French fluently if I ever hoped to penetrate this lingual wall. My excitement for this melodious Romance language has left me yearning to learn and absorb Spanish and Italian language and culture, and I will have this opportunity through University X’s various abroad options, like the “University X Program in Barcelona,” and the many courses in your French and Italian programs. Language and written documents also allow us to learn about history, another one of my passions. The words and biases in primary and secondary sources throughout history transfer different information to future generations. History depends on words, the right words. Other fields like psychology study how words are an external manifestation of our inner beings—the way words translate and sometimes misrepresent our thoughts and feelings is in many ways at the essence of our intellectual and emotional nature. University X’s History and Psychology Departments are replete with stimulating courses that address the modern mass media machine and its sweeping global impact on the way we live and perceive ourselves. It’s all about communication, whether intimate or international. University X’s supportive community and extensive academic offerings would cultivate not just my personal but also my intellectual development. Ironically, despite my commitment to self-expression, I cannot begin to convey how enthusiastic I am about the prospect of joining University X’s incoming class next fall. This post today on Forbes' blog discusses how the use of technology has revolutionized the college application process, and, in turn, the selectivity of the nation's top colleges. Many schools have seen precipitous drops in their acceptance levels in the past year, with Columbia University posting the most significant year-over-year drop after deciding to allow the Common App in 2010. In just one year, Columbia increased its applicant pool by more than a third, and saw its selectivity drop to just 6.7%. With this kind of selectivity, diversifying your number of applications to increase the odds of success is the best solution. College Essay Organizer is discussed in the article as a service that can help you manage your large number of applications easily - but the schools that Steve Cohen cites are particularly good examples of where our site excels. Schools like NYU, USC, and Syracuse are very popular, and the amount of work required to apply there - and their departments especially - can be deceptive. Make sure to get out in front of the work that's required of you and pace yourself accordingly. Another benefit of College Essay Organizer that Cohen points out is the simple fact that we help you keep the requirements manageable! College Essay Organizer is the site that puts all your requirements in one place, and can be modified as your college list grows or contracts. Instead of managing a large number of applications, PDFs, and essay documents, our Essay RoadMap technology can function as a repository for all your work during the application season. This makes a complicated process simple and keeps things sane. Alan Gelb offers some practical advice for juniors in this posting on the New York Times Choice blog. While juniors should be thinking about their college lists and beefing up their resumes with some non-academic, real-world experience this summer, they should also be taking advantage of some of their downtime to turn their attention to their college essays. Gelb writes, “These less hurried months before the onslaught of a highly pressured fall offer the chance for students to think, reflect and connect with a writing topic that can then be developed into 500 words of polished prose.” We wholeheartedly agree, and his practical tips will definitely help your mind to slow down and get your creative juices flowing as you begin to discover and explore your essay topic.